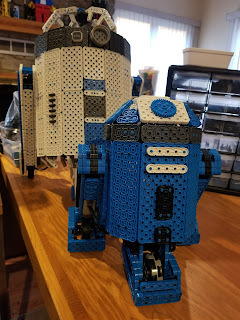 This R2 unit was designed by my friend Damien Kee. 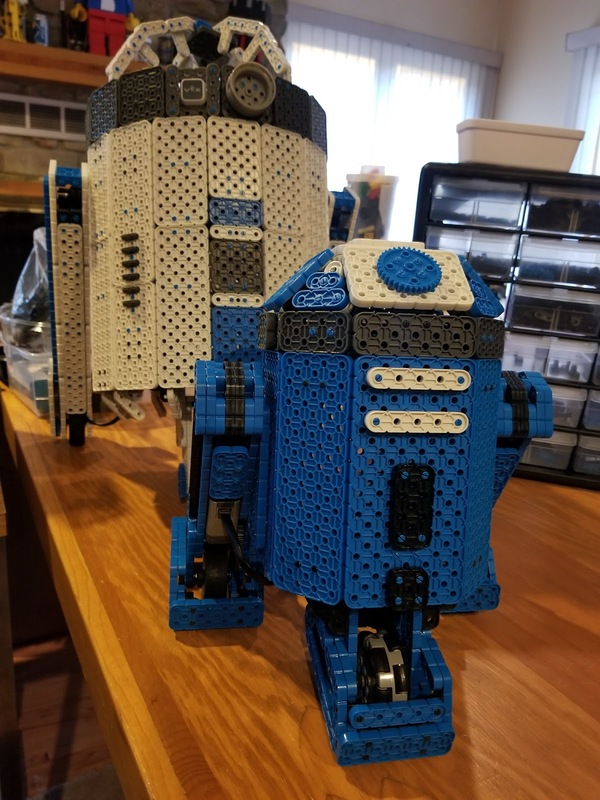 I used his building instructions to create my own version. The head is built a bit different, and I'm not sure I like this one, yet. I added a few internal supports, which Damien incorporated into his instructions. This version is about 1/3 scale. 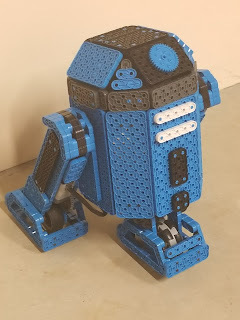 Coming up will be a photo shoot with him and his two bigger brothers, who are 1/2 scale and full size. Here's the little brother with his middle brother.